My vocal chords hate me. They are currently and have been complaining that I screamed too much at the Thursday concert I went to on Tuesday. 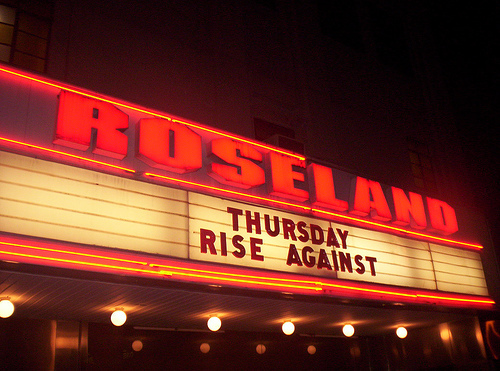 Circa Survive and Rise Against were ok, not exactly my taste. Billy Talent was fun, but again, too young of a sound. Thursday played really well and refreshed perfectly the notion in my mind that is a Thursday concert. When Rise Against ended their set, it was rather amusing to see all of the tiny and young Rise Against fans remove themselves from the front of the pit to make way for the Thursday loyalists. I much preferred the Thursdayists; they were much nicer and more fun. The only disappointment I found at the concert was that no one knew the words to Thursday’s newer album, “A City By the Light Divided,” which just reflects how poorly the album did compared to earlier albums. 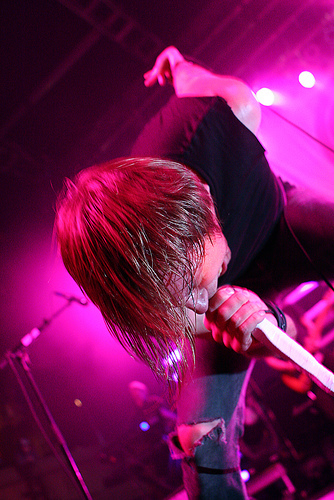 Part of the magic of a Thursday concert, as I have experienced it, is screaming lyrics at Geoff Rickly with hundreds of fellow fans, fueled by an awesome band that brings all too much energy to the stage for their own contentment. It is a sense of community and power that I’ve never experienced anywhere else. The energy is just pervasive. That’s what keeps me coming back. 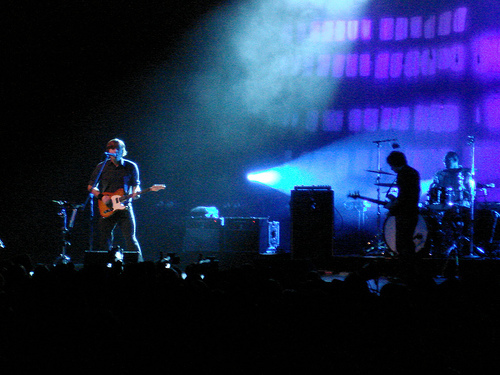 I’ve compared this last week’s concert to the Death Cab show I went to a few weeks earlier, but there is no comparison. The band performed excellently, and the drum solos were to die for, but the energy of the band and of the crowd just wasn’t the same.